So here I am doing my usual social media thing when I get mentioned on OsakaBentures.com via Disqus. Before I go off on a tangent, I want to be clear. I dig Saul and I appreciate that he sticks by his ideals and principles. I just can’t agree with his views on Triberr, even if it’s the popular opinion (and I may get some tomatoes thrown at me), because it’s that sort of stuff that has made people hesitant or disdainful towards Triberr, IMHO. I love the goal for which it was established: to give more exposure to smaller bloggers. I love that being in Tribes can help keep your blog in front of your network and keep their’s in front of you. I really like the new headline testing feature. I like the way Triberr’s founders, Dino Dogan and Dan Cristo are ever present and responsive, and generally keep the discussion positive and professional–even when things have gotten a bit rough. I like the fact that it’s working for people and increasing traffic to their blogs. I like Dino’s thoughts about a union for bloggers, to enable bloggers to make a living at blogging. I don’t like the auto-tweeting. I quote this not due to laziness but because I believe there’s no point in regurgitating what’s already out there on the blogosphere, especially when the aforementioned seems to be the consensus. The automagical part is something folks either love or hate. We get that. "No Triberr.. BAD Triberr!" - Thanks Coherentia.com! 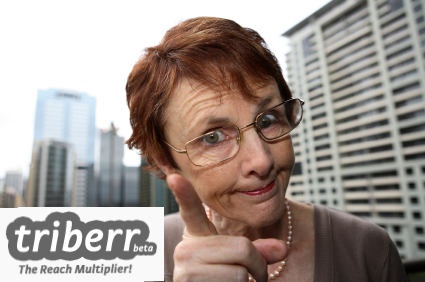 The problem with Triberr is not Triberr.. It’s YOU (shame on you!). Okay, maybe not *you* specifically, but people that don’t use it in an ethical manner or at least manage expectations properly. What we have here is an issue with semantics, framing, positioning, or whatever you want to call it. I don’t get excited about the reach multiplier aspect. I do SEO and I’ve seen how pure traffic is worthless unless you are engaging and have some decent concept about inbound marketing, authenticity, and conversions thereof. You need to build trust, help others, and show you care before others do the same in return. Triberr is the great equalizer. Yes, I know, we have some a-listers in Triberr and they’re mostly good people. Truth be told, I’d say 60-80% of the current users on Triberr would likely not be on there if there were not these sorts of social media and online marketing rockstars. Some folks just want their link juice, so to speak. In spite of those folks that draw in the fanboys, suits, and bean counters, I still believe in this vision: giving smaller bloggers and thought leaders a chance to find their own captive audience. So my work-OUT buddy, Laurinda Shaver, told me she won’t share her scotch with me.. nor will she buy me a bento box from Fork and Spoon. I don’t blame her. I promised to join her and Lynn but I did not count on my TARDIS failing on me. 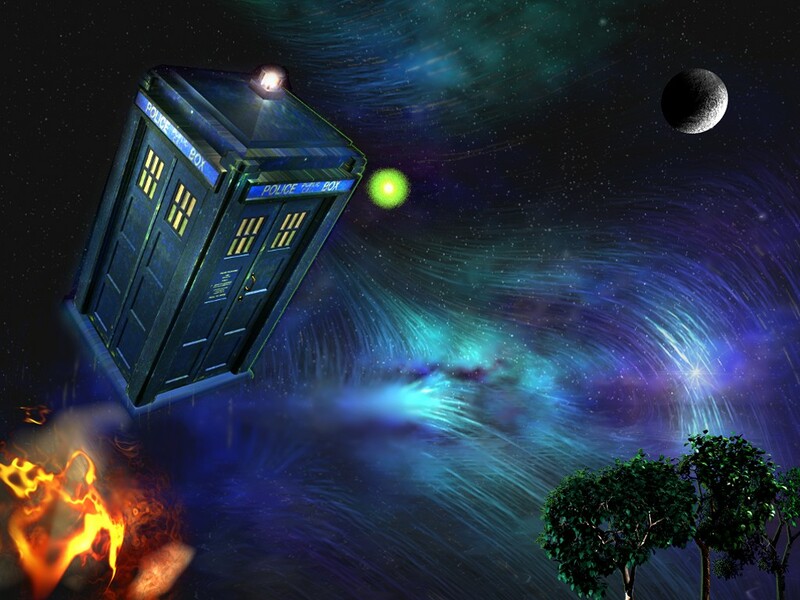 Manipulating time and space is quite difficult! Today I bring to you a simple message about sharing. While Laurinda Shaver did not share her scotch or Japanese food with me (eh, something about being in different countries may do it), she is very good about sharing.. In many ways. In the short time I’ve known her, I feel so close to her. I want to see her succeed more than she already has (“Operation Unplugged”, a Canadian docu-adventure series, looks very promising ). I feed off her joy and positive energy. When Laurinda asks for my time, I feel the need to drop what I am doing. THAT’S the impression she has made by sharing of her world and herself so openly! People do not care until they know you care. I’m sure you’ve heard some version of that quote. You get the gist of it. Laurinda is one of those people that cares and takes the time out to do the little things. She keeps those that matter most to her engaged, even when she doesn’t have much left to offer (she’s quite high in demand these days – yes, I’m looking at you, Mr. @SmartBoyDesigns). Laurinda is in great company too. There’s an elite class of “people people” including Janet Callaway, Christian Hollingsworth, Amber-Lee Dibble, Jen Olney, Nate Martin… The list goes on and on. Quite frankly, I want to link to them every time I name drop because these are folks that are doing big things in their own little ways. OH NOES – I’m Breaking The Blogging Rules! DISCLAIMER: If this is your first time visiting my blog, it may seem I am being dismissive or condescending. Not at all.. A lot of the stuff I’ve slacked on has great value but I know not to let it drive me batty. One step at a time.. This is meant to be a light-hearted, fun blog entry, poking fun at myself. Please take it with a grain of salt and thank you for visiting! I am only updating once this week (but that’s typical these days). This particular blog entry won’t be “significant” by most standards. There will be no “powerful call to action” here. I am not fully leveraging my blog to “sell” or convert.. Though I probably should! I have not added many info products nor have I created many upsell opportunities on my main blog. I have not set up additional landing pages (just a couple) nor have I focused on opt-in rates and permissions marketing. Monetizing efforts are minimal, at best, but it serves my personal goals right now. 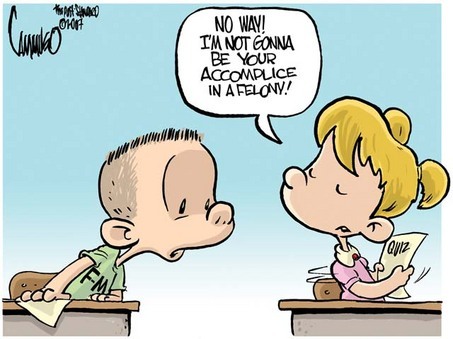 …Others may call it cheating, being undisciplined, or a blogging felony. Fair enough. Everyone is entitled to their opinions! Will you be my accomplice in cheating a little? What does social media and blogging mean to you? The interactive marketing approach has a simple prerequisite: caring about people. If you genuinely try to help or take interest in people, good things will come (say, for instance, starting REAL online conversations ). In fact, Christian Hollingsworth of SmartBoyDesigns.com expresses the value of genuine selflessness in ways few others can. I highly recommend checking out his blog as it’s one of those rare finds that has useful information and compelling stories all In one place. Christian’s blog serves as social proof of how catering to human audiences can very well outweigh technically-heavy SEO and SMO efforts. If it is a known fact that PEOPLE (customers, audiences, clients, team members, and fans) drive our business, why don’t more folks value more people? Would you rather live in a house alone on the hills or in a thriving community? Do you prefer a rural, suburban, or urban setting? What do you think that says about you? Context: Build messages that interconnect and are both relevant and significant. Frame and position comments so they have higher impacts. Community: Engage people in authentic, compelling ways to build networks and natural referrals. Let’s focus on the latter, which is where my analogy really comes into play. I’d hate to generalize but doesn’t it seem that most businesses are very distant from their customers? It certainly would seem that they are oblivious to our real needs. All the billions of dollars that go into traditional marketing and silly research, all to target meaningless demographics. I mean, for Pete’s sake, some people outsource public relations, customer service, and marketing. Even social media management is outsourced.. WHAT? I understand the need to focus on core operations but this approach lacks authenticity. It sends out the message to customers, “You’re not worth my time.” Key players in every business should become the face of their company. Look at Google’s Matt Cutts or, my personal favorites, D&D (Dino Dogan and Dan Cristo) of Triberr. These guys give otherwise faceless entities a real soul, which makes people care more. From what I’ve seen, most businesses live in their own exclusive little bubbles, the lonely houses up on the hills. They’re so disconnected from the people driving their businesses that they’ve lost touch with the world as we know it today. More often than not, this breeds a sort of arrogance and ignorance. Hey, they’ve made it this far so why change things up now? If you forget the people that got you where you are now, they’ll soon forget you. If people don’t matter to you, you won’t matter to them. Those living far away from the rest of the world live through mediators and mere numbers. They make dangerous assumptions and mainly coast by on luck (brand power doesn’t hurt, either). They don’t try to make warm connections with the people “below them”. To them, their inner circle should only be comprised of highly-successful, high-class folks. Their elitist ways make them miss out on communities that may like to get to know the real people behind their brands and monikers. Those that choose residence in suburban communities are closer to the rest of the world. They may have more struggles to keep them honest, if not humbled. Still, they like uniformity and may buy into the status quo. As such, they rather hang around people like them. Much like those living in their own lavish worlds far, far away, change scares suburbanites. Now, don’t get me wrong: suburbia (or a more isolated rural life) is not bad in itself. We all deserve to upgrade our lifestyles after hard work and persistence. What I’m getting at here is that the suburban lifestyle still represents an exclusive mentality to some degree. At the very least, living in suburbia can create a comfort zone, making it hard to see beyond your immediate community, your self-imposed bubble (and the biases that come with that). If you work from home in suburbia, the disconnect will be significantly greater unless you make a concerted effort to venture to the “great beyond”. Still, you should still recall what it was like when things weren’t quite as good.. Or maybe you’re struggling now and that reminds you to keep people on the forefront of all your efforts. Hey, some of us live well beyond our means so it’s important to recognize and learn from that. I look at a majority of businesses out there as suburban communities with so much uniformity, conformity,and familiarity that nothing really sticks out. This would be the complete opposite of what Seth Godin refers to as “being remarkable”. I’d place a particular emphasis on social media and blog execution when mentioning such shortcomings. It’s the same story repeated several times, with some slight deviations here and there. Whoopdy-do! If you fail to step outside that big box filled with congruent little boxes, you may very well be out of touch with those not in your particular bubble or inner circle. There is another world out there, you know! When you live in a mixed community, which is natural in urban settings (especially melting pot cities like NYC), it’s much easier to appreciate, if not embrace, diversity. Think of all the different stories in urban communities. These people represent the “average person” better than most homeowners. The further we get away from the “renter” mentality, the less we can appreciate the very real struggles and consumer behaviors out there. This may very well be why sales are at all-time lows for many former powerhouse brands, especially in the retail, real estate, and financial sectors. Those too far away from the people that, really, make up most of the marketplace, have a hard time understanding honest working class folks. When’s the last time the big wig living far, far away came by to ask for a favor (some sugar maybe)? Chances are it never happened and never will. Most taste BIG success and forget what life was like before it. Their worldviews get warped and their minds close off to new, contrasting ideas. These so-called “shakers and movers” share success stories that don’t speak to us because they are so lofty, preachy, or just full of horse dung. Those of us that live or remember living in tight-knit, “middle class” communities know how to relate to people. Thus, your choice of residence can very well reflect who you are as a professional whatever. Imagine what savvy customers will infer from your social context and online presence (or lack of it): do they understand your intentions or are they calling you out on your less-than-genuine ways? Mitch York (About.com) wrote a piece on the 80/20 rule and how it may very well be outdated – I agree completely! I know this guy personally and have great respect for him. He’s a people person and, more importantly, he can admit when he is wrong. Mitch went from supporting the 80/20 rule to challenging it, simply because he placed more value on people. Here’s the rub: those people in “lesser” communities and social circles ARE your business! Who do you think deserves more of a reward: the customer that refers tons of business to you and is your best promoter, or the one that buys the big-ticket items but still “shops around”? Think about that a bit. Your attitude here can be a deal maker or breaker! Our perspectives change as our lives change. This is why social media is crucial: it connects us with fresh perspectives and gives us needed reality checks. It also shifts the balance of power. We’re slowly but surely moving away from the 1-5% controlling all the wealth and/or influence. Audiences and customers are looking to connect with REAL people. Fakers are losing ground – step aside for the future industry leaders, suckahs! The “urban dwellers” are usually the ones in the mix, meeting new people and building influence. There tends to be more trust and respect amongst close friends than between professionals. Knowing this, marketers are still talking (down) AT people or just making noise – it’s absurd! What do you respond more to: recommendations from friends you trust (and that care about your best interests) or those from highly-regarded professionals you respect? No matter where you are in life or where you reside, don’t forget to look out the window. Better yet, walk out the door and visit people that help you challenge your own thoughts. You may very well be surprised what you learn! How do you get people to take interest and stick around? It may very well be one of the toughest things to do when we try to get out of our comfort zones. Blogs and social media can ease this process but you have to do it the right way. Embrace diversity, which means accepting ideas that may be radically different to yours, even if you don’t agree. In doing so, people will be able to relate to you and rarely question your authenticity and intentions. They’ll come back because you made it worth their time. Tell me if this sounds familiar: a business blasts a message to you (and oodles of other unsuspecting targets) about a new product or service and your only thought is, “Why should I care?” The social media space is becoming quite crowded, so it’s only natural we have some screamers, rambling on about stuff that doesn’t speak to us on a personal level. While your place of residence may be nice, why not explore a little? All communication mediums are bound to be tainted with lazy marketing and blanket messages. We’re seeing the same interrupt-based and intrusive marketing happening on the blogosphere and social media. GOOD NEWS: We can change all that as caring neighbors and good-will ambassadors. This warm marketing and social networking approach is particularly useful when reaching out to people we may have lost touch with or overlooked before. Take interest in what others are doing or trying to achieve. People love being remembered and recognized. BTW, I do too (Hint-Hint, Nudge-Nudge)! If you look at the direction things are going in, there’s a shift from mass anonymity to everyone trying to share and, sometimes, identify who they really are. This self-discovery and self-valuation may very well be the face of things to come. Actually, it’s already here – just look at StumbleUpon, Facebook, Empire Avenue, LinkedIn, Klout, PeerIndex.. The list is virtually endless, and with good reason: we’re remembering what we lost in our lives and each other amidst all the noise and mindless/soulless consumption. The Internet, much like old-school businesses, has been mostly faceless and soulless until recent years. Warm connections and thriving communities switch things up, giving people a sense of being welcomed, if not needed. The more personal the engagement, the more lasting the impression. Let’s ditch the mass-appeal one-size-fits-all stuff. It doesn’t really work, no matter what you think the numbers tell you. The idea here is to build communities that make people want to take residence, or at least visit often. The change has to start with you. Build that trust and be a little vulnerable: your next friendly neighbor could very well save your lonely venture! Are you on the top of a hill (no, you’re not a bill sitting on Capitol Hill but that works too! ), screaming down at the people below? Maybe you just don’t bother and let others do the human interaction for you. What excites you more in a web site or business: a massive, faceless community or a smaller, more tightly-knit community? I hope my analogy here has made you think about how your established residence in social media communities, blogs inclusive, really make people feel. We could all stand to go the extra mile to let someone know, “You matter to me.” I think I will start today… How about you?